Cover art by Eric Powell. All images courtesy of Boom Studios. 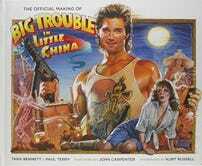 John Carpenter’s Big Trouble in Little China has become a cult favorite for many reasons—its goofy mix of humor, action, and quotable lines; Kurt Russell’s Kurt Russell-ness—but the film’s visual style is also quite distinctive. The new book The Official Art of Big Trouble in Little China is devoted to collecting and celebrating it, and we’re thrilled to debut some pages here today. The Boom Studios release, written by Tara Bennett and Paul Terry with an intro by Carpenter, is out February 1 in comic shops and February 7 in bookstores. It delves into Big Trouble’s costumes, set designs, storyboard art, and more, and contains interviews with everyone who helped make the film’s visual style so unique, including the film’s cinematographer, visual effects producer, makeup effects artist, and others. Here’s Lo Pan’s Minion Thunder, from concept to screen to uh, exploding special effect. Anf there’s this guy. I find the smug smirk on the unfinished version’s face even more unsettling than the final monster. 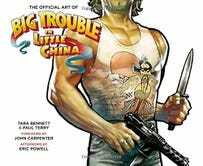 The Official Art of Big Trouble in Little China also takes a look at the classic Big Trouble poster, with a spotlight on artist Drew Struzan, as well as other art and comics inspired by the film. 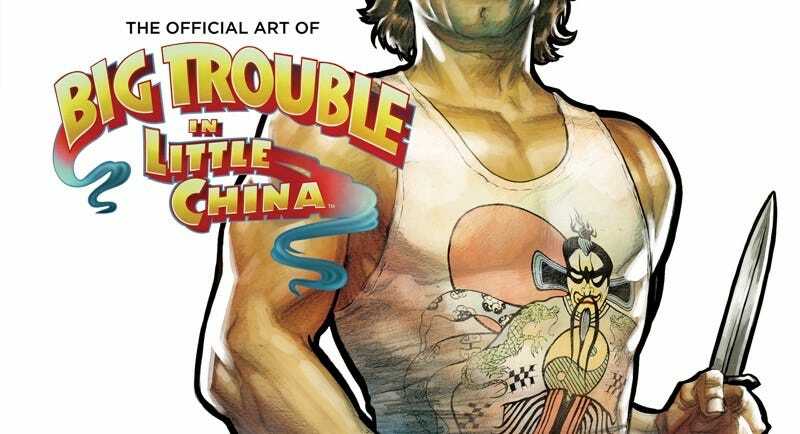 If you’re a fan of the movie, you’ll probably also want to check out Boom Studios’ The Official Making of Big Trouble in Little China (by the same authors), which came out earlier this month and contains a wealth of behind-the-scenes tidbits, photos, and interviews. The cover pays tribute to Struzan’s iconic movie poster, and in the afterword, Kurt Russell confesses that Big Trouble fans are his absolute favorite fans to meet—largely because of the great delight they take in sharing their favorite Jack Burton lines. May the wings of liberty never lose a feather!